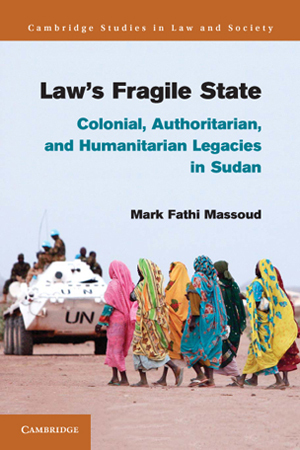 Massoud's 2013 book, Law's Fragile State: Colonial, Authoritarian, and Humanitarian Legacies in Sudan, won two awards. Massoud also recently received a Mellon New Directions Fellowship and a fellowship from the American Council of Learned Societies. In 2012, he received a Hellman Fellowship given to promising young scholars. Massoud is spending the next academic year at Princeton University’s Program in Law and Public Affairs. Originally from Sudan, Massoud studies the institutionalization of law in conflict settings and authoritarian states. His 2013 book, Law’s Fragile State: Colonial, Authoritarian, and Humanitarian Legacies in Sudan, was published by Cambridge University Press and received prizes from the Law and Society Association and the American Political Science Association. He joined the Santa Cruz faculty in 2009 and holds a law degree and a Ph.D. in jurisprudence and social policy, both from U.C. Berkeley, and a master’s degree in peace studies from the University of Notre Dame. 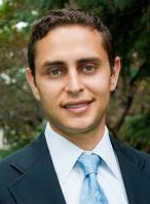 At UC Santa Cruz, Massoud teaches courses in international law, human rights, and comparative law. Massoud thanked his colleagues after learning of the award. “I appreciate the support that each person in the politics department has given me, pushing me to be my best as a scholar, teacher, and colleague. I’m deeply grateful and humbled," he wrote. Sheldon Kamieniecki, dean of the Social Sciences Division, called the string of awards “extremely impressive and a testament to Professor Massoud’s scholarship." Guggenheim Fellowships are intended for those who have demonstrated exceptional capacity for productive scholarship or exceptional creative ability. This year 173 awards were made to artists and writers, scholars and scientists, from more than 3,100 applicants. Former U.S. Senator Simon Guggenheim and his wife established the awards in 1925 in memory of their oldest son, John Simon Guggenheim, who died at age 17. The Andrew W. Mellon Foundation’s New Directions Fellowship supports outstanding faculty members in the social sciences and humanities. Rather than supporting a short-term outcome, such as a book, they are meant as longer-term investments in scholars’ intellectual range and productivity. Massoud's is one of 12 awarded this year and the first for a UC Santa Cruz faculty member.